With the upcoming Glass floatel, The ‘Floating Restaurants’ projects in Mumbai are on all time high with a plus to the list of existing and upcoming floatels. The advantage of sea that is surrounding the city and suburbs from all 3 sides welcomes the floatels as one of the gaining day hangout, luxurious dining option which also boosts the city tourism. With barge (flat bottomed ship) base and all glass on top and surrounding which enables an unrestricted view of stars and dark sky, Hopefully April should be the time to visit this new attraction which will be seen at Mahim coastline..
With the project approvals from MMB (Mumbai Maritime Board), this will be the 3rd Floatel in the vicinity with Sea link view after Ab Celestial and Mumbai Maiden. The South Mumbai costals near Gateway of India will cater via 2 new floatels very soon. It will be a barge floatel at Mahim seashore, A flat bottom base like any ship on which the glass setup will be assembled. According to the news if this sea restaurant is thrown open to public in April, The work should be visible by mid february as it takes about 45 days to setup the same. A a time, More than 350 people can be on this sea restaurant including the staff members, Approximate Maximum upto 385 people or couple of more. Upper deck should be the most beautiful sea experience to gaze the dark open sky with twinkling stars right when on dining table / Lounge area. An added advantage that i see to a closed glass upper deck is that the sky and star view will be available during monsoons too. Not just from top, but the surrounding view will be clear and uninterrupted. Expected from this floatel is a beautiful restaurant and lounge area for that sea side luxurious dining experience in Mumbai. 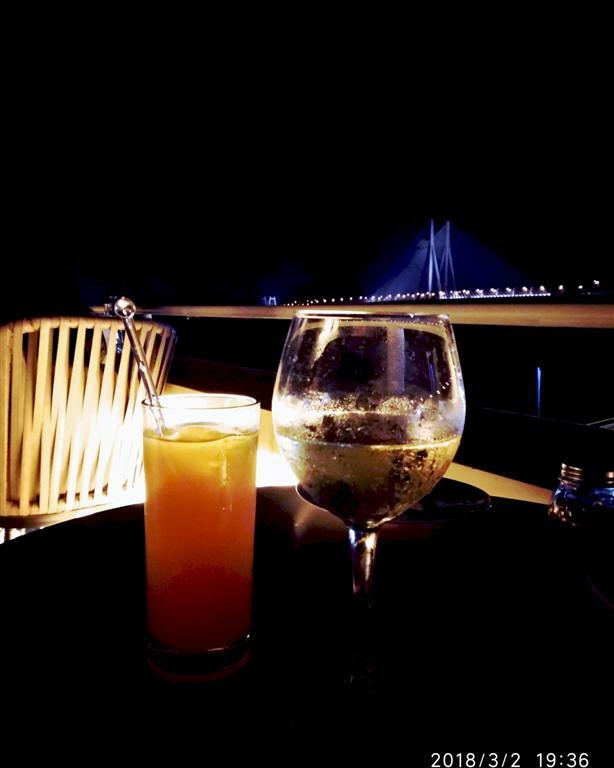 So, this can be a perfect date with your beloved to eat, drink and have a great view of Mumbai skylines and Sea link late evening. Entry fees, Cover Charges (if any), Couple charges, Details about food menu, Drink menu and Prices are currently not available and will be updated soon as operational. See also related and more attractions in same locations : Bandra Reclamation, Bandstand, Linking Road Shopping, Sea link.